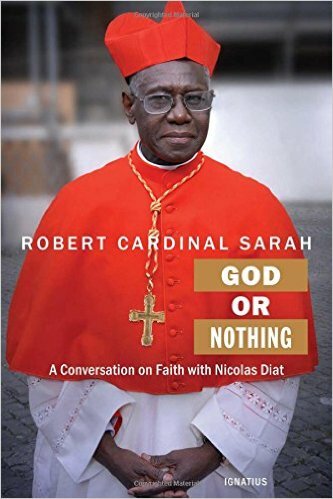 Our free read this week is Robert Cardinal Sarah’s God or Nothing: A Conversation on Faith. In his autobiographical interview, this prominent cardinal not only witnesses to his faith as a Catholic and native of Guinea, West Africa, but also discusses many pertinent topics, both current and perennial. Some of these topics include the mission of the Church, the joy of the Gospel, the “heresy of activism,” and marriage. Appointed bishop by Pope Saint John Paul II, cardinal by Pope Benedict XVI, and Prefect for the Congregation of Divine Worship and the Discipline of the Sacraments by Pope Francis, Cardinal Sarah has a fount of wisdom and insight to share. For a chance to win a free copy of this book, comment on this post or its corresponding Facebook post. We will announce the winner a week from today, on April 3.